Under-nutrition continues to adversely affect majority of women in India. In India, every third woman is undernourished and every second woman is anemic. An undernourished mother almost inevitably gives birth to a low birth weight baby. When poor nutrition starts in-utero, it extends throughout the life cycle since the changes are largely irreversible. Owing to economic and social distress many women continue to work to earn a living for their family right up to the last days of their pregnancy. Furthermore, they resume working soon after childbirth, even though their bodies might not permit it, thus preventing their bodies from fully recovering on one hand, and also impeding their ability to exclusively breastfeed their young infant in the first six months. From 01.01.2017, the Maternity Benefit Programme is implemented in all the districts of the country. 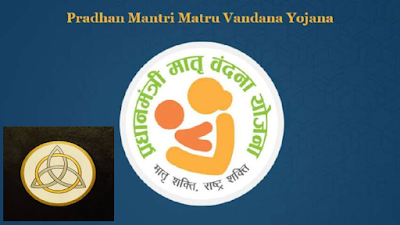 The programme is named as ‘Pradhan Mantri Matru Vandana Yojana’ (PMMVY). Under PMMVY, a cash incentive of ` 5000/- is provided directly to the Bank / Post Office Account of Pregnant Women and Lactating Mothers (PW&LM) for first living child of the family subject to fulfilling specific conditions relating to Maternal and Child Health. PMMVY is implemented using the platform of Anganwadi Services scheme of Umbrella ICDS under Ministry of Women and Child Development in respect of States/ UTs implementing scheme through Women and Child Development Department/ Social Welfare Departmentandthrough Healthsysteminrespectof States/ UTswhere scheme is implemented by Health & Family Welfare Department. PMMVY is implemented through a centrally deployed Web Based MIS Software application and the focal point of implementation would be the Anganwadi Centre (AWC) and ASHA/ ANM workers. Q.1. Is LMP Date mandatory to be provided to claim benefits under the scheme? Ans.1. Yes, the LMP Date, as found in the MCP Card is mandatory to claim the 1st and 2nd instalment. If LMP Date is not provided, the beneficiary is not eligible to claim the 1st and 2nd Instalment and can claim only the 3rd instalment provided she fulfils the conditionality for availing third instalment of the scheme. Q.2. How can a beneficiary avail service if she registers herself with the field functionary after 150 days of LMP? Ans.2. The beneficiary has to register her pregnancy at the approved health facility within 150 days from the date of LMP which needs to be entered in the MCP Card. Thereafter, she can apply for availing maternity benefit at Anganwadi Centre or to ASHA/ANM within 730 days from the date of LMP. Q.3. A beneficiary with LMP date of 4 March 2016 is made ineligible by the system. Why? Ans.3. If the LMP date is before 1st April, 2016, the beneficiary is not eligible for availing maternity benefit under PMMVY and therefore, is considered ineligible by the system (PMMMVY- CAS). Q.4. LMP date of the beneficiary is 4 January 2017 and the Date of Registration of MCP card is 8 July 2017. Why is the system making the First Instalment Application ineligible? Ans.4. The date of registration of the beneficiary in the MCP card must be within 150 days from the LMP date to be eligible to claim the First Instalment under the scheme. Q.5. How many Antenatal Check-up (ANC) needs to be done for availing 2nd instalment? Ans.5. The beneficiary is required to do at least one ANC for availing 2nd instalment. The instalment may be claimed after 6 months (180 days) from the LMP date. Q.6. Can a beneficiary undergoing ANC and delivery in Private hospital avail the benefit? Ans.6. Since only government hospitals have authority to register/ update the MCP Card, beneficiary taking services from private hospitals can not avail the benefit of the scheme as MCP card details are mandatory for claiming any instalment under PMMVY. However, if the requisite conditions are duly certified by a government doctor or officer/ functionary of the Health Department not below the rank of ANM, the beneficiary can claim maternity benefit under PMVVY and the claim should be accepted by the Field Functionary (AWW/ANM/ASHA). Q.7. A beneficiary has completed her ANC within 4 months from LMP and has immediately applied for Instalment 2, she becomes ineligible. Why? Ans.7. As per the PMMVY Scheme Implementati Guidelines, Instalment 2 can only be claimed after 180 days from LMP date provided ANC has been completed. The date of ANC can be any ti before the Date of Claim of Instalment 2, but the instalment can be claimed only after 180 days from LMP. Q.8. Does the ANC have to be 180 days after the LMP Date to claim Instalment 2 under PMMVY? Ans.8. ANC can be done anytime between LMP Date and Date of Claim of Instalment 2. The date of last completed ANC needs to be provided for claiming the Instalment 2. Q.9. The date of delivery for the first child of the beneficiary is 1st January 2017, Which Instalments can she claim? Ans.9. If the date of childbirth is 1st January 2017, the beneficiary is eligible for all the instalments under the PMMVY Scheme subject to meeting all other eligibility conditions for the individual instalments. Q.10. A beneficiary has received Instalment 2 and forgotten to apply for Instalment 1. Can she claim Instalment 1 now? Ans.10. The dates of claims have to be in sequence, i.e. date of claim of first instalment ≤ date of claim of second instalment ≤ date of claim of third instalment. But the claims can be entered in the system in any order. The scheme conditionalities need to be adhered to. Q.11. What if a beneficiary meets the eligibility conditions of the scheme but has applied late for PMMVY? Ans.11. The beneficiary can apply for benefits under the PMMVY Scheme within 730 days from LMP date or 460 days from the date of Child Birth (in case of unavailability of LMP date) subject to fulfillment of all the other eligibility criteria under the Scheme. Q.12. The date of registration for an Old MBP scheme (IGMSY) case is 4th July 2016 as the beneficiary had filled the form then, the system is not allowing to save the form and showing error. Why is this happening? Ans.12. The date of registration under PMMVY Scheme cannot be before 1st January 2017. Any Old MBP scheme beneficiary must freshly register in PMMVY by filling up the appropriate form on a date on or after 1st January 2017. Q.13. If a beneficiary has an LMP date of 7th June 2016 and has not received any money from the Old MBP scheme, is she eligible to receive benefits under PMMVY? Ans.13. The beneficiary is eligible for all instalments if the LMP falls after 1st April 2016 and delivery date must be on or after 1st January 2017 given all the other eligibility conditions are met. Q.14. If a beneficiary has received the first instalment in Old MBP Scheme, is she eligible to apply for PMMVY? Ans.14. Yes, if a beneficiary has received the first instalment in Old MBP Scheme, she is eligible to claim only Instalment 3 provided she fulfils the required eligibility conditions. Q.15. How can a SNO view the CDPO/MO Block wise beneficiary and payment reports? Ans.15. The SNO level Beneficiary enrolment and Payment report shows details for LGD Block only. Q.1. I have forgotten the password, how do I login to the system? Ans.1. The user can get their password reset using the Forgot Password option available below the login space. Also, a user one level above in the system can reset the same. The link for password reset is available on User Set up screen. Refer to the PMMVY-CAS User Manual for details. Q.2. How do I create a new user in the system and update existing user details? Ans.2. An existing user can create a new user in the system. The new user creation is allowed for one or more levels down users only. E.g., a State Nodal Officer can create users at District and Block level, while a District user can create users at Block level only. Refer to the PMMVY-CAS User Manual for details. Q.3. Can we associate the same Email ID to the Scheme Facilitator and Sanctioning Officer of a CDPO/MO Block? Ans.3. No. The same person cannot enter the data and approve it in the system. There has to be different maker and checker in the system. Q.4. How to prepare master data in case a Field Functionary (Anganwadi Center, ASHA/ANM) is responsible for more than one village or town? Ans.4. One Field Functionary must be uniquely mapped to one village/ town code in PMMVY-CAS System. If a Field Functionary has been given the responsibility of more than one village, the State must take an administrative decision as to which village the Field Functionary would be mapped. Q.5. How to prepare master data in case more than one Field Functionary (Anganwadi Center, ASHA/ANM) are present in a village? Ans.5. In PMMVY-CAS system more than one Field Functionary can be mapped to a village code in the master data. Q.6. How to prepare the master data in case any mapping of Field Functionary (example – Village Name, Verifier Name etc.) is missing in the available data? Ans.6. In the event of unavailability of any mapping, a new Field Functionary can be created in the PMMVY-CAS system using respective DNO/ SNO login. Refer to the PMMVY-CAS User Manual for details. Q.7. Can one Field Functionary (Anganwadi Center, ASHA/ ANM) be associated with multiple verifiers (Sectors, ANM) in the Master Data? Ans.7. No, One Field Functionary can be mapped to only one Verifier; however, there can be multiple Field Functionaries under a single Verifier. Q.8. How to prepare master data in the case of Urban Areas, which code is to be used and are ward wise details required? Ans.8. For urban areas, the Census 2011 code of the urban area (town or city) must be entered. The ward-wise details of the urban area are not required. For all Field Functionaries in an urban area the same code is to be provided. In case of Census Code not being present for a newly created entity, the corresponding LGD code needs to be referred to but such cases need to be highlighted to MWCD as well. Q.9. If a new Field Functionary is created, is it necessary to uniquely map it to a Verifier and an LGD Village or Town code. Similarly, if a verifier is created is it mandatory to map it to a CDPO/MO Block? Ans.9. Yes, a Field Functionary has to be uniquely mapped to a Village or Town Code, to a Verifier and further to a CDPO/ MO Block. Similarly, a Verifier can be uniquely mapped to one CDPO/MO Block only. It is not possible to create a verifier that is not mapped to any CDPO/MO Block. Q.10. Can we create a Field Functionary, Verifier or CDPO/ MO Block if their ID codes have not be generated yet? Can we use self-generated ID code? Ans.10. No, ID Code for each entity is mandatory. No Field Functionary, Verifier or CDPO/MO Block can be created if their ID code is not available. Only the ID codes generated by RCH Portal or ICDS or Central Ministry for each entity must be entered in the system. Self-generated ID codes are not acceptable. Q.11. What are the other ways of searching for a beneficiary apart from their ID Proof? Ans.11. The Beneficiary can be searched in the system through other alternate means such as Bank Account Number or Mobile Number of Field Functionary. Q.12. What is the process of filling form for 1st instalment in PMMVY CAS? Note - Beneficiary registration form is also form for claiming the First Instalment of maternity benefit. Q.13. What is the process of filling 2nd and 3rd instalments in the PMMVY-CAS? e. Fill in the details as per the Second or Third Instalment respectively (follow the instructions provided in PMMVY-CAS User Manual). Q.14. If the Scheme Facilitator has missed out on filling the Instalment 2 form and the Instalment 3 has been approved, will the beneficiary not get Instalment 2? Ans.14. If the Instalment 3 form has been filled before Instalment 2 form, the system will not restrict data entry of Instalment 2 form. It will only be submitted if the Date of Claim at Field Functionary for Instalment 2 is on or before Date of Claim of Instalment 3. Q.15. At how many levels dashboard can be viewed? Ans.15. Scheme Dashboard is available at 3 tiers: National, State and District. Q.16. Which all reports are available to Scheme Facilitator’s and Sanctioning Officers’ dashboard? Q.17. Which all reports are available to District Nodal Officer’s, State Nodal Officer’s and Central Nodal Officer’s dashboard? Q.18. A beneficiary has given the correct details for Instalment 3 but her record is not showing up in the Sanctioning Officer Instalment Approval queue. Why? Ans.18. Instalment 3 will not appear in the Instalment Approval queue of the Sanctioning Officer unless Aadhaar details have been provided for both the beneficiary and her husband as Aadhaar details are mandatory to claim third instalment (except for J&K, Meghalaya and Assam). Q.19. What can be done if the Scheme Facilitator has made a data entry error? Ans.19. If a scheme facilitator has made a mistake in data entry, he/ she can withdraw the application (using the button on the beneficiary profile page) and make required corrections. This can only be done till the record is not approved by Sanctioning Officer. Q.20. What can be done if the Scheme facilitator has made a data entry error and the Sanctioning Officer has approved the record? Ans.20. If the Sanctioning Officer has approved the record, there is no way of recalling the approved record. The record will only come back in the correction queue in case there is an authentication failure from UIDAI or PFMS and the record can be updated then. Such errors should be avoided as these errors cannot be rectified. Q.21. Where are records sent for correction by Sanctioning Officer visible? Ans.21. If a Sanctioning Officer has sent an application for correction, it will be visible in the correction queue of the Scheme Facilitator User’s login. Q.22. What steps to follow if the Sanctioning Officer finds a discrepancy in the records and wants to correct it? Ans.22. If a Sanctioning Officer finds that any particular application of a beneficiary requires correction, they can select the ‘Correct’ button to send it back to the Scheme Facilitator highlighting the discrepancy found requiring correction. Q.23. How can the applications in correction queue be corrected? The applications can be rectified if DEO wrongly enters data or if the beneficiary has provided incorrect details. DEO can correct information by going to correction queue and amend respective info. Q.24. The records rejected by Sanctioning Officer are not visible in correction queue. Why? Ans.24. If a Sanctioning Officer rejects a case, it will not be visible in the correction queue. It is deemed rejected for the scheme for that particular instalment. If a Sanctioning Officer wants to send a record for correction, S/he will have to select the ‘Correct’ option in the approval queue. Q.25. Where are records which have failed UIDAI or PFMS verification visible? Ans.25. If a record fails verification from UIDAI or PFMS, it will be visible in the correction queue of the Scheme Facilitator User’s login, with the appropriate reason. Q.26. How can the applications rejected by PFMS be corrected? Ans.26. Application rejected by PFMS are available in the correction queue available to DEO. Applications can be corrected by opening the form and rectifying the information as required. Q.27. Can SNO see which beneficiary’s which instalment has come back in the ESCROW Account? Ans.27. The State/UT can check payment failure list in the PFMS’ EP12 report after logging into PFMS website using the State/UT PMMVY scheme manager’s login. Q.28. PMMVY-CAS shows that the beneficiary has been paid but the bank account number is not the same as registered under PMMVY scheme? In Aadhaar based payment the money is transferred to the latest Aadhaar Seeded Bank Account of the Beneficiary. At the time of registration, beneficiaries who are providing Aadhaar as an identification proof should be made aware of the same. In these cases, beneficiaries should be asked to update the passbook of bank account which is last seeded with her Aadhaar card. Q.29. Can we generate our own codes for Villages which are not present in LGD? Ans. 29. No. The Village code and name must be taken from the Government Local Government Directory portal (http://lgdirectory.gov.in/) only. Self-generated IDs are not acceptable, and will lead to system errors. It is advised to kindly highlight the issue with the Ministry of Panchayati Raj at state level, and leave out field functionary data for such villages. Third Instalment • Child Birth is registered. Note - Beneficiaries who have received only the first instalment under the old MBP (IGMSY) scheme can claim only third Instalment under the PMMVY scheme, subject to meeting the criteria of PMMVY.